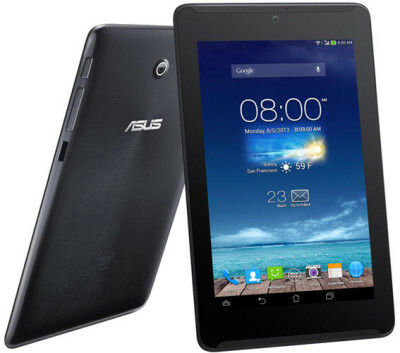 Asus Fonepad 7 next generation with 7-inch display launched at IFA 2013. Well it is the upgraded version of Fonepad7. The company has included some new features and specifications. It comes with 7-inch IPS LCD Back-lit 7inch 1280×800 with 10 muti touch points. the company has also accidentally putted promo video before the official launch. The tablet draws the power from 1.6GHZ Dual Core Intel Atom Z2560 processor. It has 1GB RAM, 400mHZ PowerVR SGX544 GPU. There is Android v4.2.2 operating system. the Fonepad7 packs with 5Mp rear auto-focus camera and 1.2MP front camera. It has 3G, WIFI, Bluetooth 3.0 and GPS connectivity.It houses 3,950mAh battery that claims talk time of up to 28hours and35days on standby. 7″ (1280×800) HD IPS Backlit display. 1.6GHZ Dual core Intel Atom CPU. 1GB RAM, 8GB / 16GB / 32GB internal memory, Expandable memory up to 64GB. 5MP rear camera (records 1080p videos),1.2MP front camera(720p video rec). The front of the tablet has Dual speakers with SonicMaster audio technology. It is capable of making voice calls.The company has not enclosed any details about Asus FonePad 7 price (next generation) and availability in India.